Men and boys in the qasgi in Kwigillingok, 1930s. Qasgim taum ca tamalkuan avaliqluku. 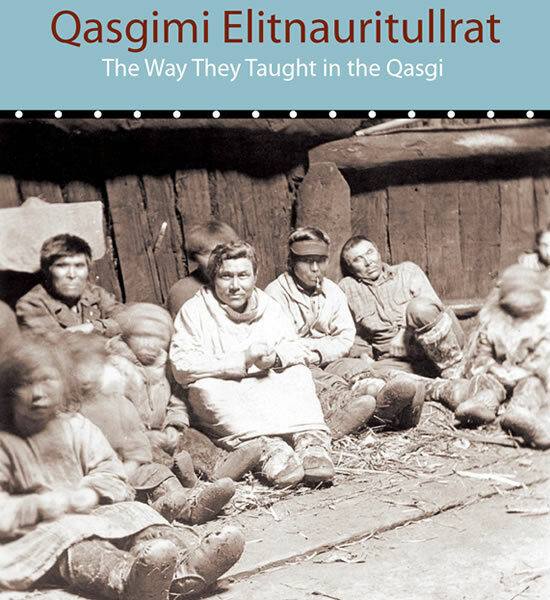 Tuani qasgimi yuk niicugniyarturaqluni qanruyutnek, qemaggluku-llu kalmaanaminun anluni. The qasgi was the library holding all the information a person should know about our heritage. A person went to the qasgi to listen to rules for living and placed what he learned in his pocket and went home. Apertuagurluki. Tua-i qasgimi elitellruunga canek tua-i, caliyaramek arcaqerlua, caliangqerrsaraanek angutem. Taumek qasgi takarnarqellruuq marayaungermi. They explained everything. I learned how to do things in the qasgi, especially how to make things and do men's work. That's why the qasgi was honorable, even though it was made of mud. Qasgiyaurcama tamatum nalliini aanama pinauraanga, "Kitak qasgimun agluten teglessaagaa." Cunawa waten pilallinikiinga, qalarquralria niicugnikumku, tugrumanrilngerma, tuaken eliskuma, tamaaken umyuaqerkamnek unguvallma taktaciatun atuumarkaulliniluku. When I was old enough to go to the qasgi my mother would say, "Okay, go over to the qasgi and try to steal something." She apparently meant that when I listened to men teaching, though the instructor wasn't talking directly to me, if I learned something, it would be something that would help me over and over for the rest of my life. 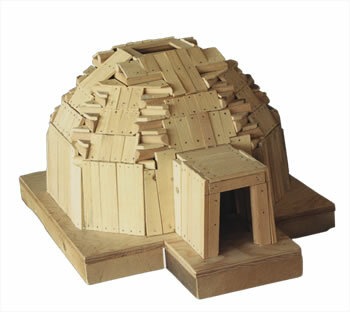 Model made by Frank and Noah Andrew in 2005. The gradual shortening of the beams creates a dome with corner posts but no central support. The Romans get credit for inventing the dome in the Western tradition but, as Joan Hamilton remarked, "All that stuff about Greeks and Romans is a myth anyway!" 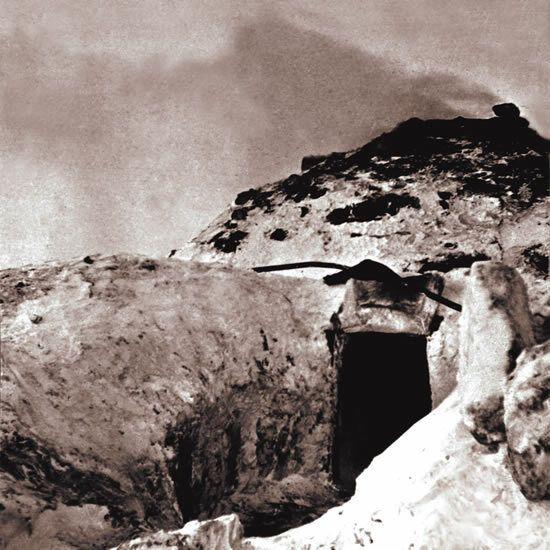 Qasgi in Kwigillingok. Smoke shows that men are taking a fire bath. A log placed to one side of the skylight keeps wind from blowing smoke inside.